Following the celebration of the 1995 New Year's Day, the people of all ethnic groups in China are now seeing in the Spring Festival. On the occasion of this traditional festival of the Chinese nation, it is of great significance for the Taiwan compatriots in Beijing and other personages concerned to be gathered here to discuss the future of the relations between the two sides of the Taiwan Straits and the great cause of the peaceful reunification of the motherland. On behalf of the Central Committee of the Communist Party of China and the State Council, I should like to take this opportunity to wish our 21 million compatriots in Taiwan a happy New Year and the best of luck. Taiwan is an integral part of China. A hundred years ago on April 17, 1895, the Japanese imperialists, by waging a war against the corrupt government of the Qing Dynasty, forced the latter to sign the Shimonoseki Treaty of national betrayal and humiliation. Under the treaty, Japan seized Taiwan and the Penghu Islands, subjecting the people of Taiwan to its colonial rule for half a century. The Chinese people will never forget this humiliating chapter of their history. Fifty years ago, together with the people of other countries, the Chinese people defeated the Japanese imperialists. October 25, 1945 saw the return of Taiwan and the Penghu Islands to China and marked the end of Japan's colonial rule over our compatriots in Taiwan. However, for reasons everybody knows, Taiwan has been severed from the Chinese mainland since 1949. It remains the sacred mission and lofty goal of the entire Chinese people to achieve the reunification of the motherland and promote the all-round revitalization of the Chinese nation. Since the Standing Committee of the National People's Congress issued its "Message to the Taiwan Compatriots" in January 1979, we have formulated the basic principles of peaceful reunification and "one country, two systems" and a series of policies towards Taiwan. Comrade Deng Xiaoping, the chief architect of China's reform and opening to the outside world, is also the inventor of the great concept of "one country, two systems". With foresight and seeking truth from facts, he put forward a series of important theories and ideas concerning the settlement of the Taiwan question which reflect the distinct features of the times, and defined the guiding principles for the peaceful reunification of the motherland. Comrade Deng Xiaoping has pointed out that the most important issue is the reunification of the motherland. All descendants of the Chinese nation wish to see China reunified. It is against the will of the Chinese nation to see it divided. There is only one China, and Taiwan is a part of China. We will never allow there to be "two Chinas", or "one China, one Taiwan". We firmly oppose the "independence of Taiwan". There are only two ways to settle the Taiwan question: One is by peaceful means and the other is by non-peaceful means. The way the Taiwan question is to be settled is China's internal affair and brooks no foreign interference. We consistently stand for achieving reunification by peaceful means and through negotiations. But we shall not undertake not to use force. Such commitment would only make it impossible to achieve peaceful reunification and could not but lead to the eventual settlement of the question by the use of force. After Taiwan is reunified with the mainland, China will pursue the policy of "one country, two systems". The main part of the country will stick to the socialist system, while Taiwan will retain its current system. "Reunification does not mean that the mainland will swallow up Taiwan, nor does it mean that Taiwan will swallow up the mainland." After Taiwan's reunification with the mainland, its social and economic systems will not change, nor will its way of life and its non-governmental relations with foreign countries, which means that foreign investments in Taiwan and the non-governmental exchanges between Taiwan and other countries will not be affected. As a special administrative region, Taiwan will exercise a high degree of autonomy and enjoy legislative and independent judicial power, including that of final adjudication. It may also retain its armed forces and administer its party, governmental and military systems by itself. The Central Government will not station troops or send administrative personnel there. What is more, a number of posts in the Central Government will be made available to Taiwan. Over the past decade and more, under the guidance of the basic principles of peaceful reunification and "one country ,two systems" and through the concerted efforts of the compatriots on both sides of the Taiwan Straits and in Hong Kong and Macao and Chinese residing abroad, visits back and forth by individuals and exchanges in science, technology, culture, academic affairs, sports and other fields have expanded vigorously. A situation in which the economies of the two sides promote, complement and benefit each other is taking shape. The establishment of direct links between the two sides for postal, air, and shipping services at an early date not only represents the strong desire of vast numbers of compatriots in Taiwan, particularly industrialists and businessmen, but has also become the actual requirement for future economic development in Taiwan. Progress has been registered in the negotiations on specific issues, and the "Wang Daohan-Koo Chenfu talks", represent an important, historic step forward in the relations between the two sides. However, what the entire Chinese people should watch out for is the growing separatist tendency and the increasingly rampant activities of the forces working for the "independence of Taiwan" on the island in recent years. Certain foreign forces have further meddled in the issue of Taiwan, interfering in China's internal affairs. All this not only impedes the process of China's peaceful reunification, but also threatens peace, stability and development in the Asia-Pacific region. l. Adherence to the principle of "one China" is the basis and premise for peaceful reunification. China's sovereignty and territory must never be allowed to suffer split. We must firmly oppose any words or actions aimed at creating an "independent Taiwan" and the propositions "split the country and rule under separate regimes", "two Chinas over a certain period of time", etc., which are in contravention of the principle of "one China". 2. We do not challenge the development of non-governmental economic and cultural ties by Taiwan with other countries. Under the principle of "one China" and in accordance with the charters of the relevant international organizations, Taiwan has become a member of the Asian Development Bank, the Asia-Pacific Economic Cooperation Forum and other international economic organizations in the name of "Taipei, China" or "Chinese Taipei". However, we oppose Taiwan's activities in "expanding its living space internationally" which are aimed at creating "two Chinas" or "one China, one Taiwan". All patriotic compatriots in Taiwan and other people of insight understand that instead of solving the problems, such activities can only help the forces working for the "independence of Taiwan", undermine the process of peaceful reunification more unscrupulously. Only after the peaceful reunification is accomplished can the Taiwan compatriots and other Chinese people of all ethnic groups truly and fully share the dignity and honour attained by our great motherland internationally. 3. It has been our consistent stand to hold negotiations with the Taiwan authorities on the peaceful reunification of the motherland. Representatives from the various political parties and mass organizations on both sides of the Taiwan Straits can be invited to participate in such talks. I said in my report at the Fourteenth National Congress of the Communist Party of China held in October 1992, "On the premise that there is only one China, we are prepared to talk with the Taiwan authorities about any matter, including the form that official negotiations should take, a form that would be acceptable to both sides". By "on the premise that there is only one China, we are prepared to talk with the Taiwan authorities about any matter", we mean naturally that all matters of concern to the Taiwan authorities are included. We have proposed time and again that negotiations should be held on officially ending the state of hostility between the two sides and accomplishing peaceful reunification step by step. Here again I solemnly propose that such negotiations be held. I suggest that, as the first step, negotiations should be held and an agreement reached on officially ending the state of hostility between the two sides in accordance with the principle that there is only one China. On this basis, the two sides should undertake jointly to safeguard China's sovereignty and territorial integrity and map out plans for the future development of their relations. As regards the name, place and form of these political talks, a solution acceptable to both sides can certainly be found so long as consultations on an equal footing can be held at an early date. 4. We should strive for the peaceful reunification of the motherland since Chinese should not fight fellow Chinese. Our not undertaking to give up the use of force is not directed against our compatriots in Taiwan, but against the schemes of foreign forces to interfere with China's reunification and to bring about the "independence of Taiwan". We are fully confident that our compatriots in Taiwan, Hong Kong and Macao and those residing overseas would understand our principled position. 5. In face of the development of the world economy in the twenty-first century, great efforts should be made to expand the economic exchanges and cooperation between the two sides of the Taiwan Straits so as to achieve prosperity on both sides to the benefit of the entire Chinese nation. We hold that political differences should not affect or interfere with the economic cooperation between the two sides. We shall continue to implement over a long period of time the policy of encouraging industrialists and businessmen from Taiwan to invest in the mainland and enforce the Law of the People's Republic of China for Protecting the Investment of the Compatriots of Taiwan. Whatever the circumstances may be, we shall safeguard the legitimate rights and interests of industrialists and businessmen from Taiwan. We should continue to expand contacts and exchanges between our compatriots on both sides so as to increase mutual understanding and trust. Since the direct links for postal, air and shipping services and trade between the two sides are the objective requirements for their economic development and contacts in various fields, and since they are in the interests of the people on both sides, it is absolutely necessary to adopt practical measures to speed up the establishment of such direct links. Efforts should be made to promote negotiations on certain specific issues between the two sides. We are in favour of conducting this kind of negotiations on the basis of reciprocity and mutual benefit and signing non-governmental agreements on the protection of the rights and interests of industrialists and businessmen from Taiwan. 6. The splendid culture of five thousand years created by the sons and daughters of all ethnic groups of China has become ties keeping the entire Chinese people close at heart and constitutes an important basis for the peaceful reunification of the motherland. People on both sides of the Taiwan Straits should inherit and carry forward the fine traditions of the Chinese culture. 7. The 21 million compatriots in Taiwan, whether born there or in other provinces, are all Chinese and our own flesh and blood. We should fully respect their life style and their wish to be the masters of our country and protect all their legitimate rights and interests. 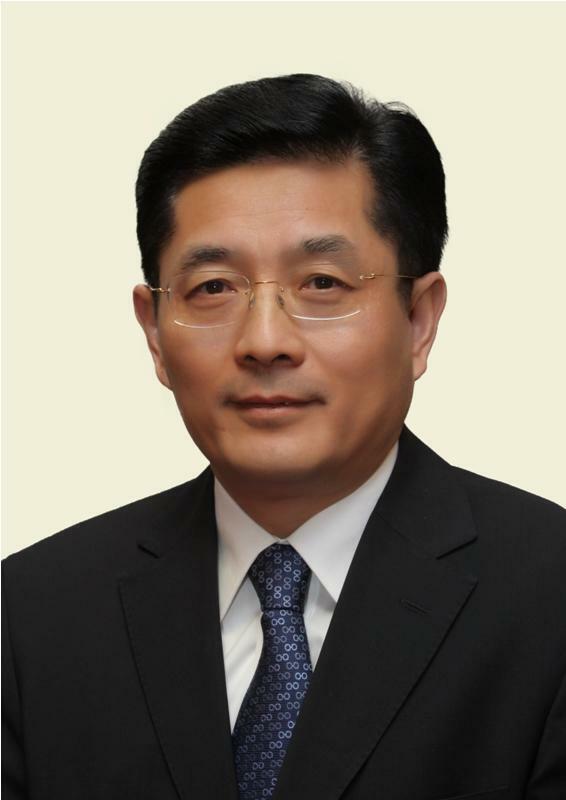 The relevant departments of our party and the government including the agencies stationed abroad should strengthen close ties with compatriots from Taiwan, listen to their views and demands, be concerned with and take into account their interests and make every effort to help them solve their problems. We hope that Taiwan Island enjoys social stability, economic growth and affluence. We also hope that all political parties in Taiwan will adopt a sensible, forward looking and constructive attitude and promote the expansion of relations between the two sides. All parties and personages of all circles in Taiwan are welcome to exchange views with us on relations between the two sides and on peaceful reunification and are also welcome to pay a visit and tour places. All personages from various circles who have contributed to the reunification of China will go down in history for their deeds. 8. Leaders of the Taiwan authorities are welcome to pay visits in appropriate capacities. We are also ready to accept invitations from the Taiwan side to visit Taiwan. We can discuss state affairs or exchange ideas on certain questions first. Even a simple visit to the other side will be useful. The affairs of Chinese people should be handled by ourselves, something that does not take an international occasion to accomplish. Separated across the Straits, our people eagerly look forward to meeting each other. They should be able to exchange visits instead of being kept from seeing each other all their lives. Our compatriots in Hong Kong and Macao and those residing overseas have made dedicated efforts to promote the relations between the two sides, the reunification of the country and the revitalization of the Chinese nation. Their contribution commands recognition. We hope that they will make new contributions in this regard. The reunification of the motherland is the common aspiration of the Chinese people. The patriotic compatriots do not wish to see reunification delayed indefinitely. The great revolutionary forerunner of the Chinese nation Dr. Sun Yatsen once said: "Reunification is the hope of entire nationals in China. If reunification can be achieved, the people of the whole country will enjoy a happy life; if it cannot be achieved, the people will suffer." We appeal to all Chinese to unite and hold high the great banner of patriotism, uphold reunification, oppose secession, spare no effort to promote the expansion of relations between the two sides and facilitate the accomplishment of the reunification of the motherland. In the course of the development of the Chinese nation in the modern world, such a glorious day will surely come.